Indonesia is a multiethnic and multiracial society due to the inflow of foreigners from all over the world. In most cases, as a foreigner doing in business Indonesia, you will encounter Indonesian as your business counterparts. As a result, it is of major importance to adapt to the business culture of your respective partners. Doing business in Indonesia can be tricky for new expats first touching down in this land. There are a lot of social rules tied to the business culture in Indonesia and you should obey them if you do not want to offend your business partners. 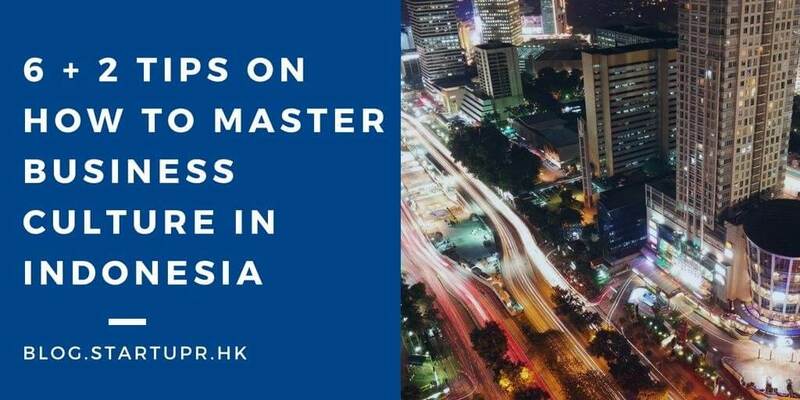 In this article, we summarise the rules of thumb about how to master the business culture in Indonesia. For every incoming professional, this seems to be one of the biggest cultural challenges when doing business in Indonesia. Networking and building relationship are essential parts before going into the nitty-gritty of a meeting. Indonesians view making friends and cultivating relationships as a philosophy of harmony and peace, more important than the business itself – and definitely not a waste of precious time. Oftentimes, a business process will be more fruitful if a strong bond is formed during the pre-meeting small talks and getting-to-know-each-other sessions. Most businesses in Indonesia still rely on personal relationships and referrals, and becoming friends with your contacts is expected at any business meeting. Be patient and understand that a deal is considered done only with more than one meeting. It is not hard to understand that being heavily shaped by Asian customs, Indonesia places emphasis on the importance of gift-giving. This might be controversial for most foreigners and be seen as a sign of corruption. However, for locals, giving small gifts at a meeting help breaking the ice and maintain business relationships. Gifts can also be exchanged at subsequent events as a manifestation of successful collaboration between partners. It would be rude to arrive at a business meeting empty-handed. However, it is worth noting though, to avoid the possibility of insinuating a sign of bribery (which is not your intention at all), it is recommended to present small gifts, instead of expensive gifts, with sincerity in hope to commence an honest collaboration between both parties. Your partner will be surprised and delighted with your kind gesture. Business cards are still essential items as they give necessary information about you and your business, i.e. title, corporate position, qualifications, and others. Make sure to place your cards properly in your wallet or card holder, but not fumbling them out from awkward places such as the back pocket of your pants. Cards are always exchanged at the beginning of meetings and take your business partner’s card with both hands, and study it carefully. Avoid using left hand only to receive the card as it is considered disrespectful in Indonesia as a Muslim country. Culturally, especially in business, three distinct elements are mirrored in Indonesian business culture – harmony, unity, and respect. Therefore, underpinning the business culture in Indonesia is the nation’s expectation of all parties to be treated respectfully. An Indonesian will rarely disagree or say “no” openly or publicly even if they have a different opinion of your approach. Often, they will avoid confrontation by saying “yes”, and do not always mean what they say. Thus you will realise how critical it is to rethink the “yes” received from your Indonesian counterpart. It might not be the “yes” you are looking for, and it absolutely does not mean you have secured the deal. You must seek further clarification from your meeting partners to confirm that it’s a real “yes” and know that one-time “yes” does not always count. Seniority is very important, and hierarchy also plays its part in most business situations in Asian countries. It is especially apparent in Indonesia for older generations. A right amount of reverence shall be paid to the senior people or people with more authority present. Direct recognition by names will not be offensive, but in Indonesia, it is more appropriate to address a senior person by Mr./Mrs., or by their designation followed by their last name. In business meetings and group introductions, always greet the most senior or the eldest person first to show your respect to them. Then, greet people with high power in the company you are meeting with. In Indonesia, “saving face” is an important cultural concept for expats to grasp and understand. It means to stay away from the cause of shame. Coined by Indonesian as “malu” – to create social embarrassment to others and yourself – is frowned upon by Indonesians. The Indonesians prefer to opt for an unaggressive approach when dealing with suggestions and criticisms. Therefore, they will take straightforward blaming, mocking or insults negatively. In order to avoid the loss of face, never discuss their mistakes and shortcomings publicly. Instead, communicate in a more humble demeanour with compassion and understanding. In addition, remember to give sincere compliments when possible to help “build the face” of your Indonesian business partner. The conduct of meetings can sometimes be a little too formal by western standards. Indonesians tend to maintain a more serious demeanour throughout the meeting. Plus, meetings can be slow and rubber time or “Jam Karet” are used commonly by locals to depict their relaxing attitude towards time –which is usually regarded by most expats as precious and should not be wasted. Do expect that your Indonesian partners may be late to a meeting or an event. Try to be flexible and do not let your impatience and emotions get in the way of your negotiations. Summing it all up, by having a better understanding of the business culture in Indonesia, you are on the right path to a successful business in Indonesia. However, if you are still wary of some unwritten business customs and norms that have been followed for generations in Indonesia, get yourself a professional support team to seal a deal in Indonesia faster.